Samantha Shannon, author of The Bone Season, talks about how migraines inspired her debut novel. Samantha Shannon, the New York Times best selling author and winner of Red Magazines ‘Women to Watch’ category in 2013, is often asked if Paige Mahoney, the heroine of her dystopian novel The Bone Season, is her alter ego. When I meet Shannon on a wintery afternoon in Covent Garden’s Seven-Dials (the very place where Shannon initially drew inspiration for her work), she emphatically replies “Not at all”. I, however, respectfully beg to differ. 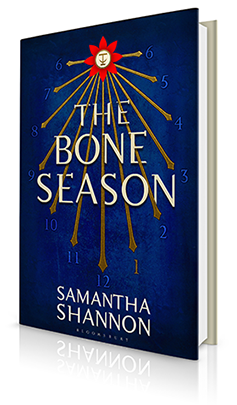 The Bone Season is the first installment of a projected 7 series of novels, which will be published by Bloomsbury, the same publisher as The Harry Potter novels; which inevitably means Shannon is constantly touted as the next J.K. Rowling. Shannon is now famous, however, for writing the first draft, getting an agent, securing a 7 book-deal, and having the novel published all whilst studying for a degree in English Language and Literature at St Anne’s College, Oxford. Not the average university experience. Likewise, Paige Mahoney, is not your average teenager. Now, I’m not suggesting that the uber talented Shannon commits treason on a daily basis, or has special clairvoyant gifts – she definitely has a gift for writing and creating strange and surreal worlds – but Paige and Shannon do have one major similarity. They both suffer with migraine and headaches. Shannon was just 17 years old, two years younger than her feisty heroine, when she had an abrupt and dramatic initiation into the world of migraine. She was baby-sitting her little brother one afternoon when: “I suddenly went blind”. Understandably, she panicked. Over the phone, her Mother suggested that brother and sister immediately go to the nearest Opticians. Amazingly, staggering and stumbling up the street, Shannon found herself sitting safely in an Optician's chair. “Please help me, I’ve gone blind!” she begged the Optician. Asked to describe, exactly, what she could see Shannon realized she was not, in fact, totally blind. Big glittery zig-zags with a ‘C’ shape, and a brown cloud were badly blurring her vision. Luckily for Shannon, the Optician quickly realized she was suffering with migraine Aura. She was immediately referred to a GP who prescribed Sumatriptan, the medication Shannon still takes to this day. After this dramatic episode, Shannon later discovered that, as with most migraineurs, migraine ran on both sides of her family. 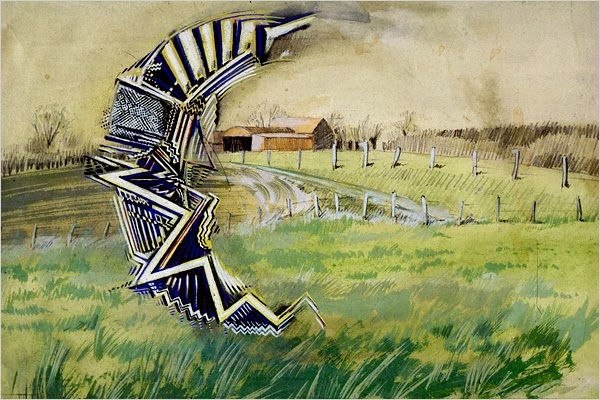 She learnt that her Father got visual Auras, and her Mother got the pain of migraine. Unluckily, Shannon gets both. She recalled how, as a child, her “Mum used to get migraines so badly we had to take her to hospital because she was in such pain, it was just horrible.” Shannon’s Mother, never having had Aura herself, did not immediately connect the dots when her daughter rang saying she thought she was going blind. Shannon has now acclimatized, as much as is possible, to her Auras and the pattern of her migraines. “The way I know it’s happening is that I’m sitting typing and a couple of letters will suddenly disappear. And I know ‘here it comes’. Slowly I get a wavering around the edges of my vision and it goes into a rainbow type zig-zag, then I get a brown haze, it’s quite strange”. After the Aura, which can last up to 45 minutes, Shannon is hit with “crushing pain around my forehead and eyes”. All she can do is take her Sumatriptan and lie in a dark room waiting for it to pass. Then, as many migraineurs know all too well, comes the Postdrome phase. “I get bad Postdrome, awful, for up to three days. That’s probably one of the worst aspects to it all”. Shannon describes how she’s left feeling drained, as if all her “energy has been knocked and sucked out of me’. It’s a very unpleasant feeling that many migraine sufferers can attest to. Which brings us back to The Bone Season and Paige. Shannon is refreshingly honest and open about the huge inspiration migraines provided for the colourful world of her book and it’s main character. Shannon’s own Aura were, indeed, the main source of inspiration. In the novel, Paige is something called ‘spirit blind’ but she can see shapes, colours and tell where a spirit is. “So, I picture her seeing things with a disruption in her vision similar to my migraines”. Indeed, clairvoyant characters in The Bone Season have different coloured auras, the whole concept of which, came from Shannon’s own experiences. Shannon wanted the book “to have a very visual aspect to it” and I, for one, can’t wait to see how the film adaptation of the book will bring to life the different auras. Furthermore, she wanted the clairvoyants to feel like “biological – not magical [beings]– something to do with the brain and body, so migraines really helped me develop that idea.” In this sense, Shannon is reminiscent of Lewis Carroll, whose migraines Auras are said to have inspired his ‘Alice’s Adventure in Wonder Land’ novels. Migraines and headache play a significant, yet subtle, part in The Bone Season in differing ways. “I wanted to wind it [migraine] through the book because it’s such a big part of my life and I really wanted to use it in a positive way.” Shannon confesses that she wakes up most days with a headache, and that the physical pain aspect of her migraines was also major inspiration. “Paige is always in some form of pain, quite often a headache”. Indeed, in Chapter Two of The Bone Season, the regularity of Paige’s headaches are noted when she goes to stay with her Father. “Pain exploded behind my eyes. I’d never felt pain like it in my life: it was knives through my skull, fires in the very tissue of my brain, so hot I couldn’t see or move or think”. The above is, I believe, one of the most accurate descriptions of migraine I’ve ever come across. I first listened to the audiobook verion of The Bone Season during a migraine attack of my own. But as soon as I heard the above (about 5 minutes in) I sat bolt upright in bed, knowing instinctively that whoever had written those words simply had to be a migraine sufferer them-self. And so began my journey to discover more about the books author. Shannon's own migraine triggers are, perhaps, more common place. She has noticed that the frequency of her migraines tends to coincide with changes in sleep patterns and periods of high stress and anxiety. “When I’m in a stressful situation such as A-Levels, degree finals or the last stages of editing a book they tend to get worse”. Shannon has just finished the final manuscript of her second book, the eagerly awaited sequel to The Bone Season, the title of which has just been announced as ‘The Mime Lord’, so when we meet this Tuesday 25th, for our live Book Club chat, I hope to hear that she hasn’t been suffering too much for her art! Indeed, Shannon’s process as a writer, especially when she was at Oxford, was not conducive to the regular life-style patterns advised for migraine sufferers. As noted above, she wrote the first draft of The Bone Season during her second year at Oxford, so mostly worked late into the night and at weekends, around her regular course work. She’s also found that her brain seems to ‘wake up’ and inspiration strikes, when it gets dark. Again, not ideal when breaks in regular sleep patterns are a trigger. As Shannon is becoming increasingly aware of her triggers and coping strategies, so will Paige. Shannon describes how when Paige’s spirit leaves her, it rips, like cloth ripping, as her spirit pulls away from the body and this is what causes the migraines, the pain. “But it is something that she will be able to deal with as the books goes on. Warden describes it as a muscle… and eventually the muscle becomes strong but initially it really hurts. So that’s how she’s going to deal with it, through practice’. 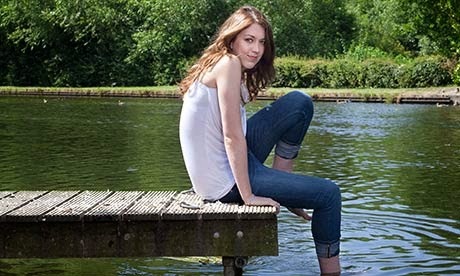 I asked Shannon how on earth she dealt with the pressure of being at Oxford, writing a novel and living with migraines. 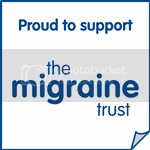 “In the 1st year I was constantly in bed with migraines. Friends would text to find out where I was but I would just have to lie in the dark”. Luckily, Shannon had a supportive group of friends, who would kindly bring nourishment, mainly in the form of sandwiches, when Shannon was un-able to fend for herself. Now travelling the world on international book tours, Shannon not only has to cope with life in the public eye – but with the various issues that travelling brings to the migraineur. Shannon told me about a recent tour to Australia where she realizes, with horror, that she had forgotten to bring any migraine medication with her. A publicist brought her a dissolvable vitamin like solution, to help with the Postdrome phase, that Shannon later learned is used in Australia to cure hangovers! She’s pretty sure everyone thought she was drunk, or genuinely hungover, another common trait of life with migraine. So, even though Paige will learn to deal with the pain, Shannon assures me that migraines and headaches will continue to make subtle appearances throughout the series. “Oh definitely, it’s a huge part of Paige’s reality, having this constant reminder of her pain. Her gift is quite a painful one to have. She has one of the most powerful clairvoyant gifts and I wanted it to have a physical backlash”. For Paige, and her creator Shannon, migraines seem to be both a blessing and a curse. When Paige uses her gift, she suffers agony but, in a somewhat sinister turn, she can also cause migraines in others. In Chapter One, after the attack on the Underguards, Paige notes: “I hadn’t meant to kill them, I’d meant to give them a push – just enough to give them a migraine, maybe make their noses bleed.” Through flashbacks we also learn that this is something the young Paige, when at school, would inflict on cruel classmates. This makes Paige sound far darker than she really is! But I must confess, I’ve often wondered what it would be like to make a doubting friend, Doctor, un-believer, suffer a migraine attack. At the end of the day, if it hadn’t been for suffering migraine Aura, The Bone Season would not exist in its current form. So, it has been a blessing and a curse for Shannon. 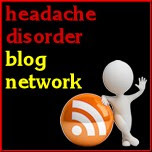 Indeed, Shannon wears her migraine as a badge of honour. “I would never think twice about not acknowledging the fact that I have migraines. I’m almost proud of it. It’s a part of who I am, I wouldn’t ever think about hiding it. It’s even on my twitter page!” So we migraineurs must take huge inspiration, and hope, from Shannon, and Paige. Both have managed to utilize this debilitating condition for creative gain. So, although Shannon denies that she is Paige, I think they are both humble visionaries, with an especial talent, and we should all keep our eyes on the futures of these two exceptional ladies, as great things lie ahead. Furthermore, anyone who suffers with migraine, or any invisible and chronic illness, should feel emboldened by their example and know that they have a new champion in Shannon. Samantha Shannon will be joining us LIVE for Migraine Monologues Book Club this Tuesday 25th at 6.30pm (GMT) and 1.30pm (EST). All our welcome to join in our discussion. We will be talking in more depth about the inspiration for the characters, Shannon’s own literary heroes, Paige’s taste in music and whether or not the Raiphaim can get migraines! It is very rare that such a successful Author is willing to talk so openly and honestly about life with migraine, so don't miss this chance to be involved.